EuroTile is a complete, compact modular synthesiser, constructed around the popular 1U Tile format. The complete analogue synthesiser offers the smallest modular footprint currently available and has been created by the team at Syinsi, based in Waterloo, Canada watch the demonstration video below to learn more about its construction, features and design. With pledges available from CAD$133 or roughly £75, early bird backers can benefit from a considerable discount from the recommended retail price be closer to $149 or CAD$199. – Small – bring it anywhere. – Low power – run several off one power adapter, or even a power bank. – Easy – Each module has only what’s necessary. – Powerful – Connect anything to whatever. – Modular – Build the instrument you need. – Customizable – put modules where you need them. – Expandable – choose from a large variety of modules from many makers – or make your own. 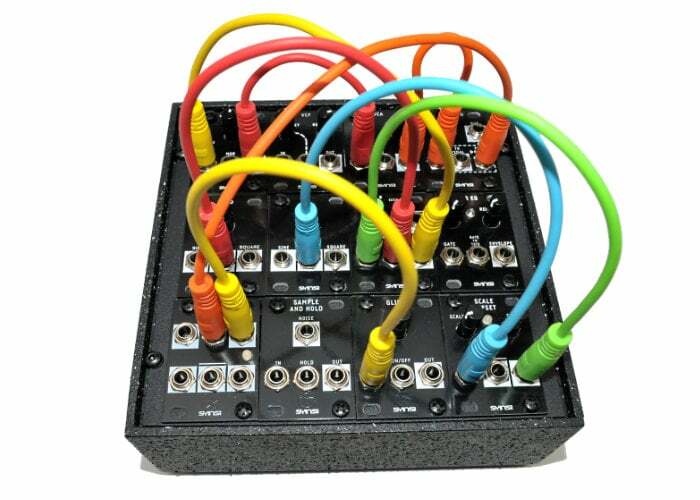 – Compatible – use them with any other Eurorack modular or case that uses 1U Tiles. – Inexpensive – Get a complete synth for the cost of a single Eurorack module.